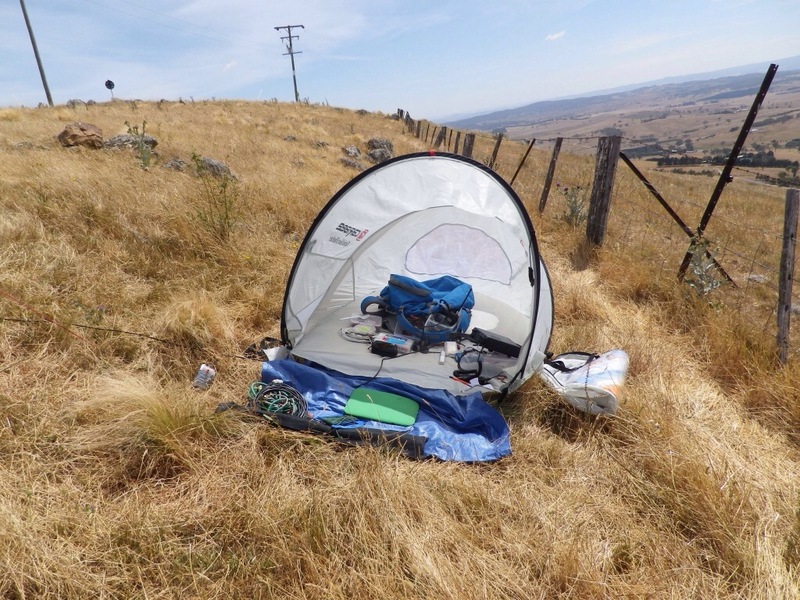 The Canberra Region Amateur Radio Club received authorisation to use the callsign Vi100ACT during the month of March 2013, to recognise the Canberra Centenary. 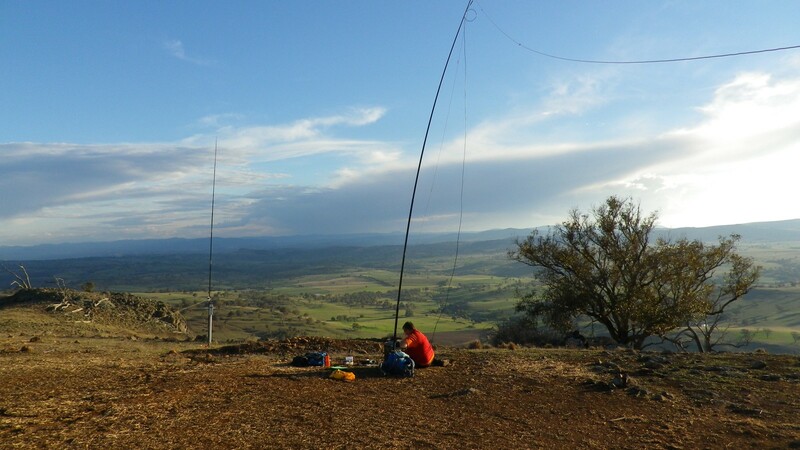 I volunteered to coordinate the roster of members who were keen to use the callsign during the month and rostered myself on for the 40m, 20m and 2m bands on the evening of 1 March when I would be activating Mt Ainslie as a SOTA station. 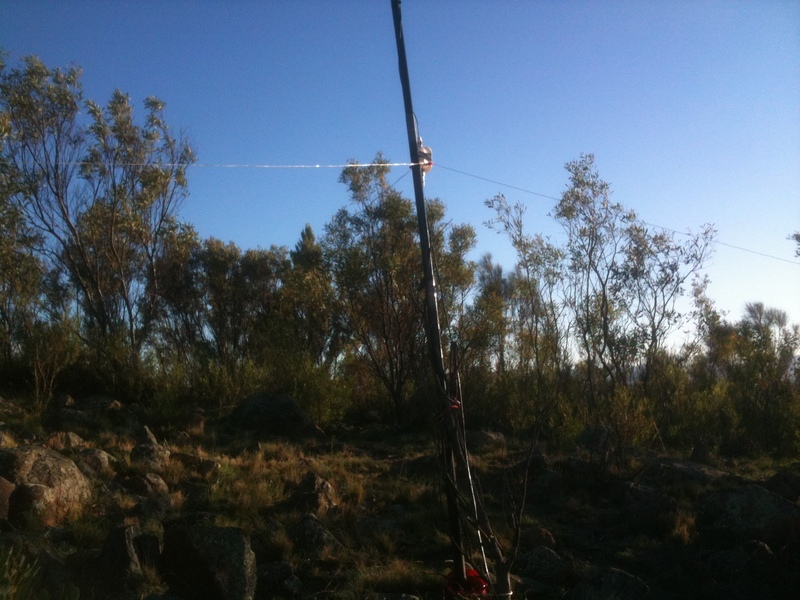 For this activation I set up the 20m dipole as well as the 40m dipole. 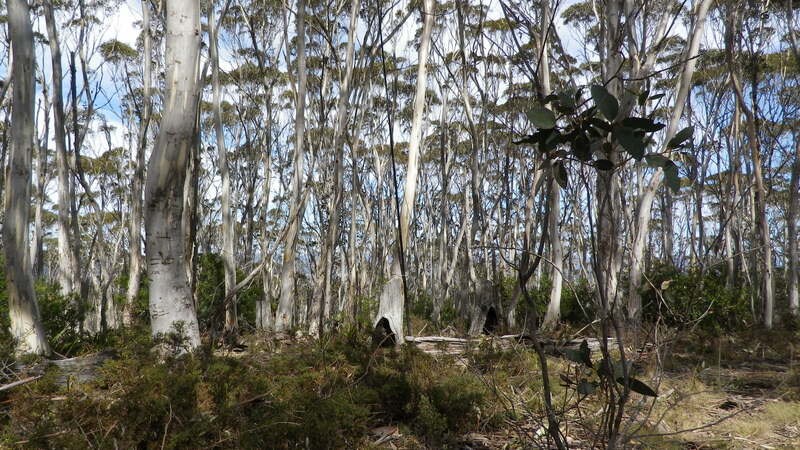 I made about 15 contacts on 40m including VK1/2/3/4/5/7, ZL2 and FK8. A few contacts were made on 2m FM, then I moved to 20m and self spotted on sotawatch.org to announce that I was calling on 14.061 CW. I then worked 8 contacts into England, Germany, Austria and France (G, DL, OE and F) with reports varying from 339 (weak) to 559 (fair). This seemed a fair result for the first use of the 20m dipole, not yet optimised for length or angle. The power output of the FT817 is 5 watts. 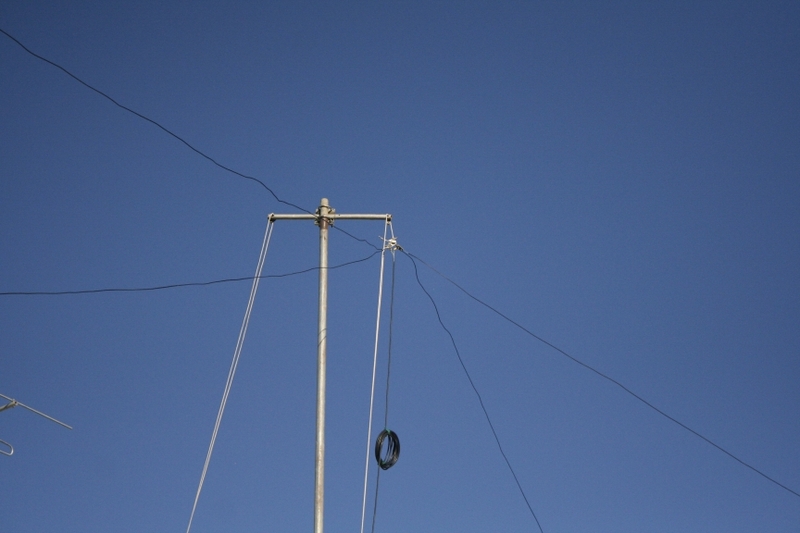 The two dipoles shared a common feedpoint at the top of the squid pole support, and the dipoles were strung out in roughly the same plane, the longer one at the top and the shorter one below it. No impact on the 40m antenna behaviour was apparent. 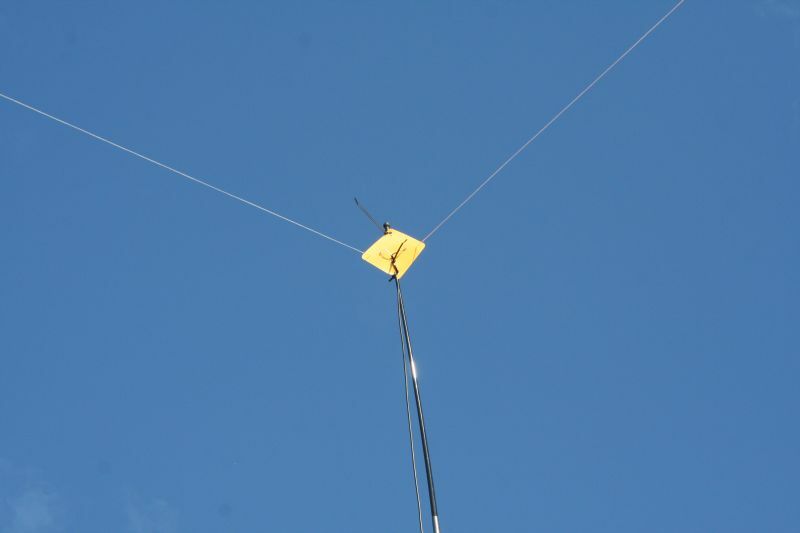 The SWR on 20m was not ideal as there was some reflected power indicated on the 817 meter. The Vi100ACT callsign is to be used on various bands by different club members during the month of March 2013. The official centenary of Canberra’s founding/naming ceremony is on the 12th of March. 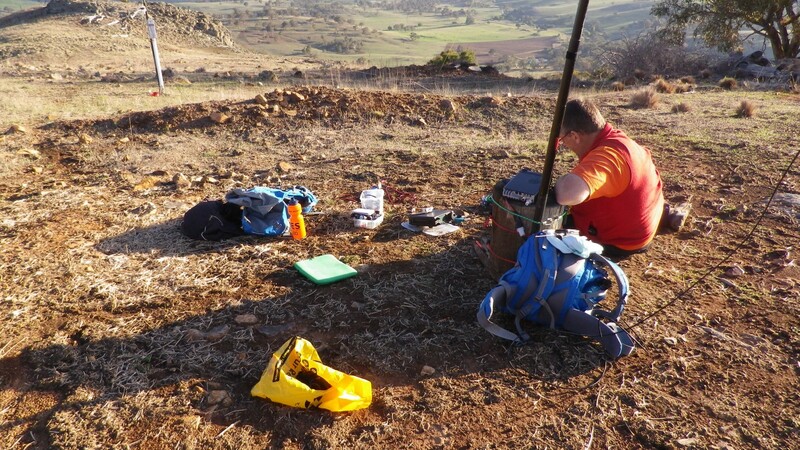 This is a short contest for QRP operators. It runs for one hour on CW mode, then 1 hour on SSB. A truly easy contest to participate in. All licence classes can participate as QRP (low power) or their ordinary power. The contest was sponsored by the CW operators QRP club. 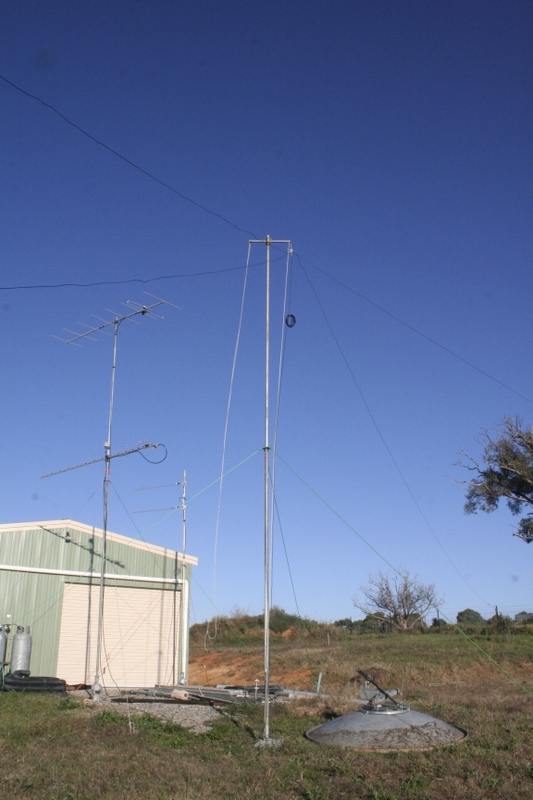 I wasn’t sure I would have an opportunity to operate in this contest but at about 6:30pm on Saturday 2nd April I decided I should put up an 80m antenna and have a go. 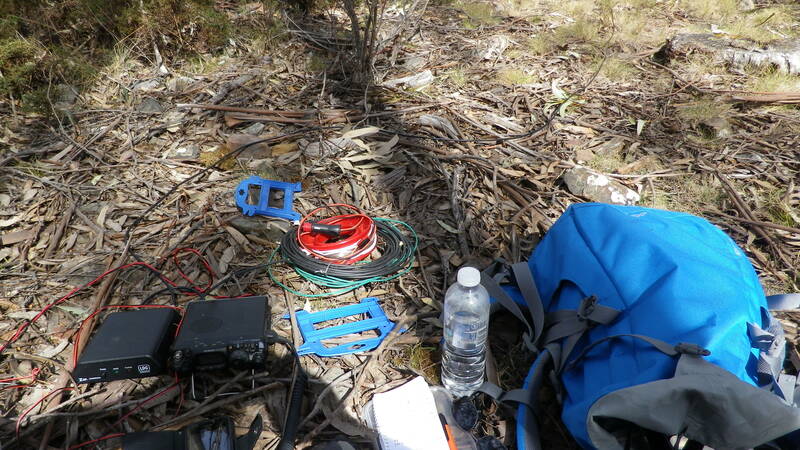 At 6:40 I had identified a two section telomast and was measuring out some guy ropes for it. Having found some stakes, guying ring and found the wire antenna cross-boom with the attached halyards and pulleys, I was able to assemble the mast, attach the cross-boom, lay out the guy ropes and do a trial setup to get the guys set to the right lengths. Once that was done I hammered in three stakes and attached the guy ropes to two of them. Walking the mast up to vertical showed I had set one guy at an impossibly long length so it all had to come down. Next time was ok so I could walk the third guy out to the stake and tie it off. One 20 ft feedpoint suspender ready for action. Time about 7:15. 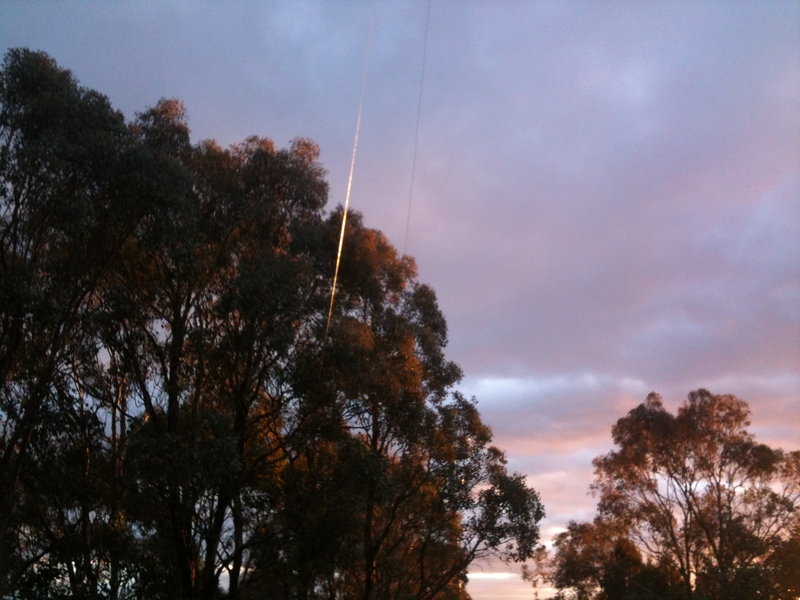 I had a 80/40m dipole assembly last used two years ago at a rental property in Canberra. 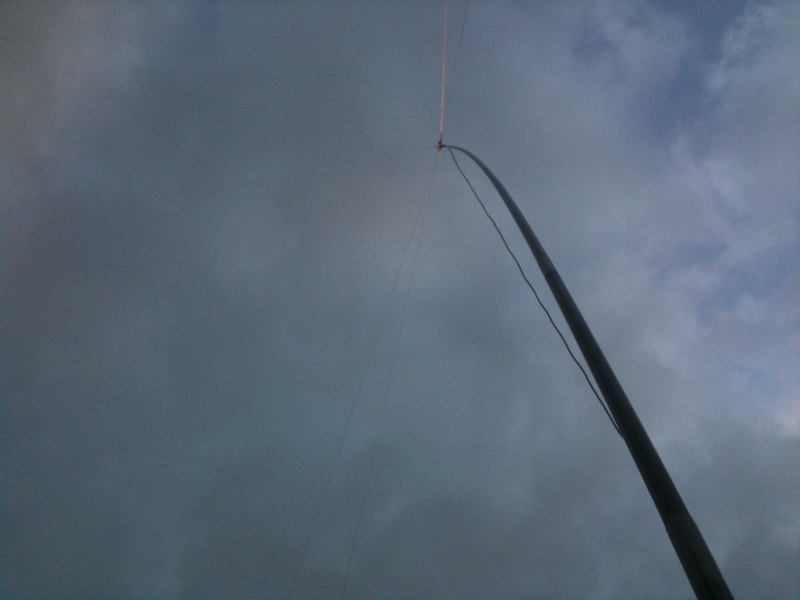 I attached the centre conductor to one of the halyards and hauled it up to the dizzy 20ft height of the mast. 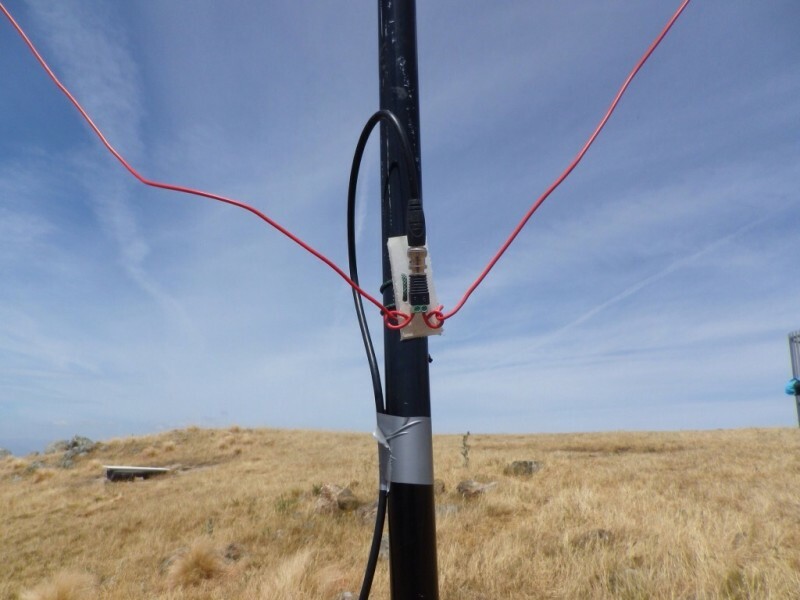 Then I attached some light cords to the antenna ends and tied it to the fence at one end, and to some ground stakes at the other end of both dipole wires. This work was completed in the dark as the sun set at about 6pm local time. The two dipoles are joined at the centre. 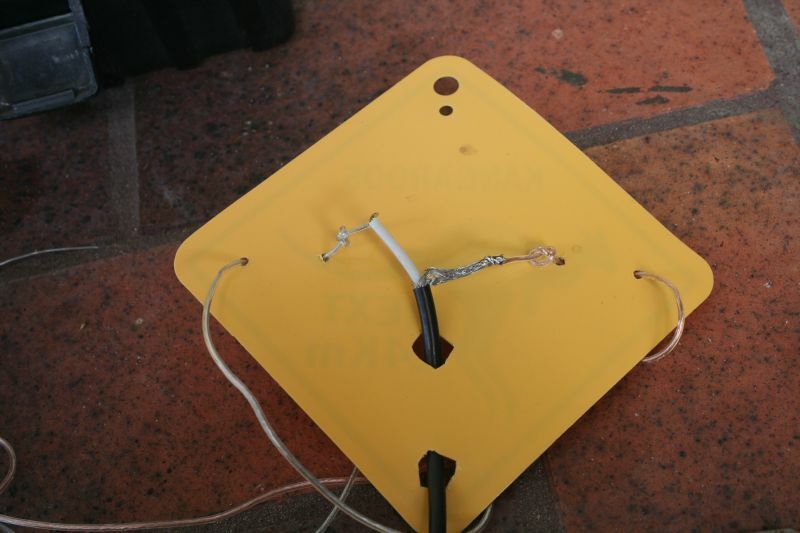 This works because the 80m antenna is a very high impedance on 40m, so is virtually “not there at all”. 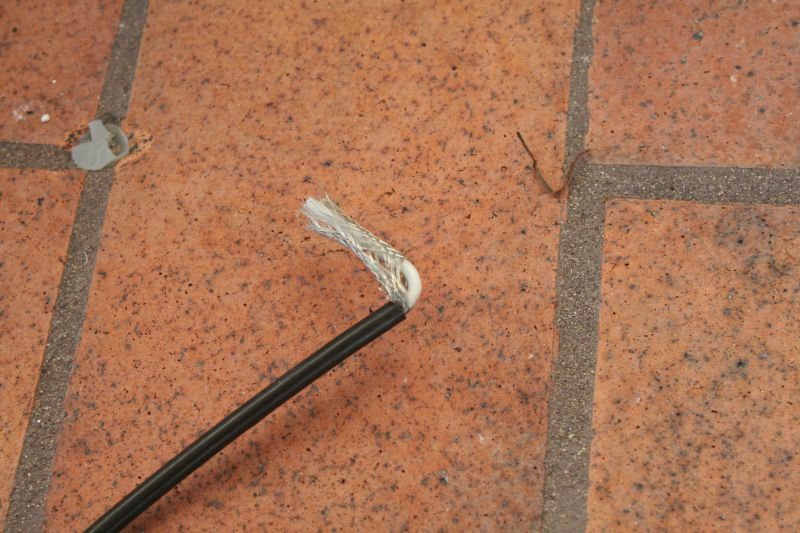 The 40m dipole detunes the 80m one slightly but I went through the adjustment process with this antenna about 20 years ago and have simply rolled it up when I finished using it each time. Then I got out the FT817 and found a suitable keyer cable, microphone, power supply. 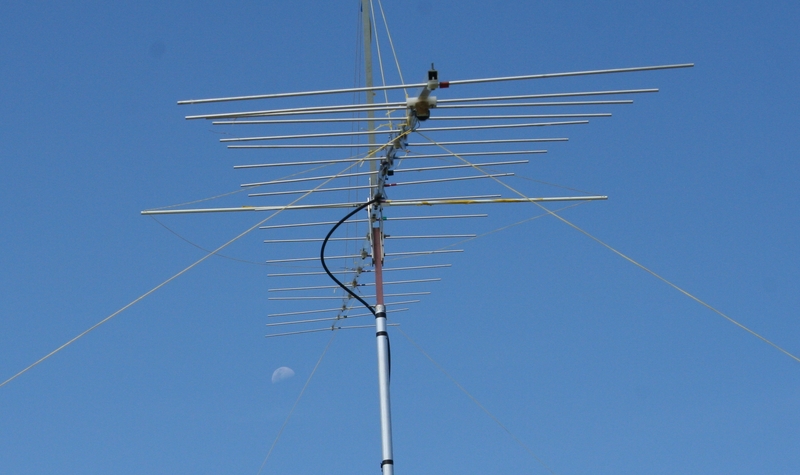 On 80m the dipole presented a 1:1 match on the CW end of the band so that was fine. On 3690 it was about 1.3 but my Emtron tuner handled that mismatch with a fairly broad dip. The time now was about 19:45 local and the contest started in 15 minutes, or so I thought. 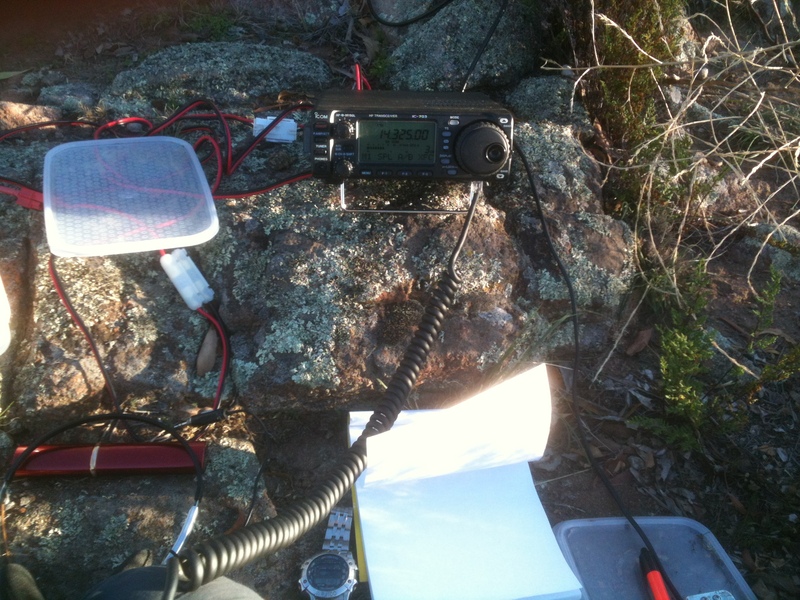 At 20:00 local time I heard a station calling CQ TEST so I answered, received a number, gave a number, signed off. Good start to the contest, I thought. Then I called CQ TEST myself. No replies. Tuning around showed nil activity. Called CQ again. This time I got a reply from an operator who kindly advised me that the contest was not due to start until 2100 local time. I opened up the computer and checked the contest rules. Start time 1000 UTC, which was 9pm local, but somehow I had reverted to non DST in my calculations due to daylight saving ending later that night. 1000 UTC was almost an hour away. So I had time for some dinner! About 45 minutes later I went back to the radio and started the contest again at the right time. Signals were strong and most stations were in the vk2, 3 and 4 areas though there were some vk5, vk7 and ZL stations worked too at signal reports of 559 or so. I made 10 cw contacts in this hour. 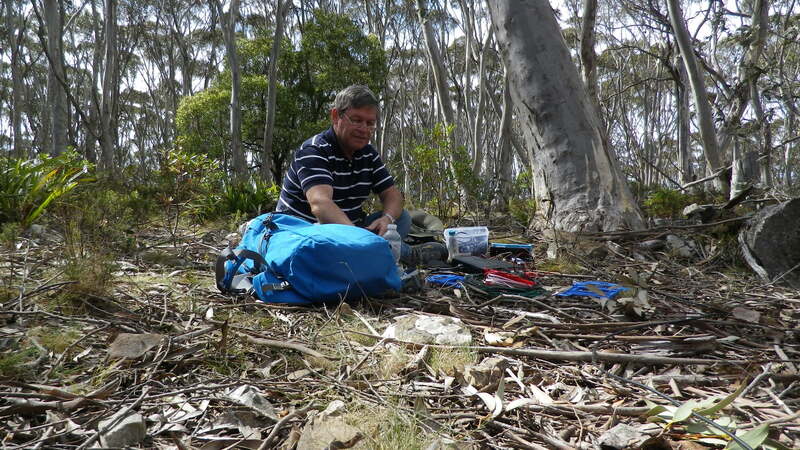 A slow contest compared with the DX contests but it was also quite relaxed and unrushed. At 1100 UTC the SSB section commenced, operating between 3550 and 3590. Signals were very strong from some stations. Again a few names were exchanged as well as the contest numbers. 15 contacts on SSB, and I got the impression the antenna was working well, as mostly my replies were answered after only one call. Quite good for a 5 watt signal. I have sent in my log and I don’t think this is the only QRP event I will operate in. This was a very enjoyable process and quite rewarding for the minimal effort required to get on the air. Next time: antenna up another 10 feet. And the ends should be higher too! Should be no problem. I might even do most of the work in the daylight next time.